The Information and Communications Technology (ICT) Council of Iligan City is set to hold the Iligan leg of the Philippine Freelancers Caravan, Digital Career Expo and Freelancer Fair, on October 25-26, 2018 at the Iligan Medical Center College with the theme, “Up your game”. The two-day interactive event seeks to promote and support the growth of digital careers and online freelancing activities in the city by providing a venue for stakeholders to showcase their companies, exchange ideas, and share best practices. It also aims to provide awareness to the public about the opportunities and trends in digital careers or online freelancing as well as provide an avenue for existing companies in the ICT industry to showcase their services and products. Industry key players are invited to take part in the City’s first-ever Digital Career Expo and Freelancer Fair. Mr. Jonathan de Luzuriaga, President of the Philippine Software Industry Association, is the keynote speaker. Atty. Jocelle Batapa-Sigue, Co-Founder and Current Vice President of the National ICT Confederation of the Philippines, will be presenting the rationale of the Philippine Freelancers Caravan. The activity also highlights plenary conferences on digital careers, ecosystem, and inspiring stories. Ms. Janette Toral, the e-Commerce Program Head & Lead for the Certified e-Commerce Specialist, e-Commerce Entrepreneur, and e-Commerce Professional, will discuss “Exploring Industry 4.0 Jobs and Discovering New Business Models and Platforms”; Ms. Ginger Palma Arboleda, CEO of Manila Workshops and COO of Taxumo will talk about “Professionalizing and Monetizing Your Freelancer Career”; and Mr. Genesis Reonico, current president of Digital Career Advocates of the Philippines (DCAP) will tackle “Growing the Freelancers Community or Freelancing Success Stories.” National and local industry players will also be joining the panel sessions, including Ms. Yvette Sabellona (Wrupup), Mr. Leif Brian Gomez Margallo (Virtual Workforce Professionals, Taxumo), Ms. Lorna Bondoc (founder of Yoveo Digital), Mr. Daryl Becera (OrangeHub), Mr. Lincoln Diaz (ICTech Virtual Solutions), Atty. Joerich Cuevas (MinBITS), Ms. Kei San Pablo (Canva), Ms. Pretzel Miso (PYLON), Ms. Jinnah Dorothy Jimenez (ADROIT), and Ms. Stephanie Caragos (Syntactics). Learning Sessions on specialized freelancing skills and niches will also be conducted in the afternoon breakout sessions. The first-ever Digital Career Expo and Freelancer Fair in Iligan City is co-presented by the Local Government Unit of Iligan City, Philippine ICT Innovation Network, and Iligan Medical Center College. The expo will be participated by 300 delegates from Iligan City and neighboring municipalities. The Philippine Freelancers Caravan: Digital Careers Expo is an initiative that aims to gather under one venue various companies, organizations, government agencies, professionals and students engaged, involved and interested in digital careers, online jobs or ICT-enabled services. The first run of the caravan includes Iligan and Bacolod. The activity is developed by Atty. 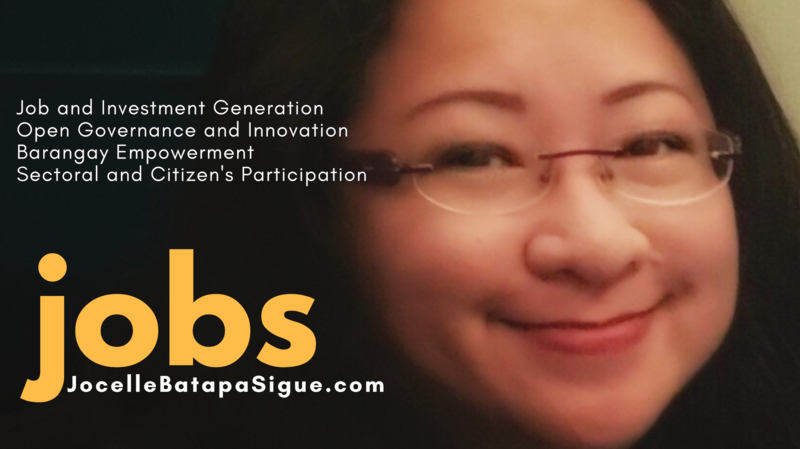 Jocelle Batapa-Sigue as President of the Philippine ICT Innovation Network and proponent of SITIO (Social Innovation Thru Impact Outsourcing).